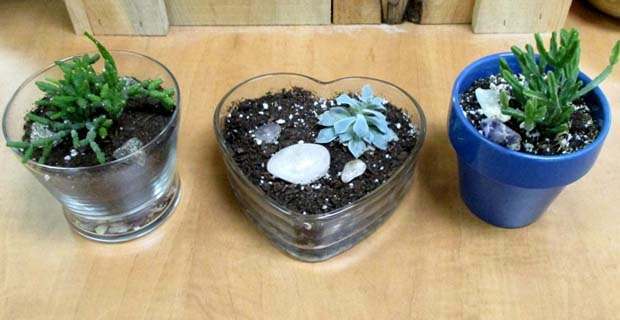 In this Make & Take you will learn about Succulents and create your own succulent plant terrarium ! Our instructors will lead you though the steps in planting a succulent terrarium and you will receive a pamphlet on how to care for your plant! Included in the class is a selection of planters to choose from, 1 plant, 3 crystals from the pebble pond, and moss to decorate your terrarium!